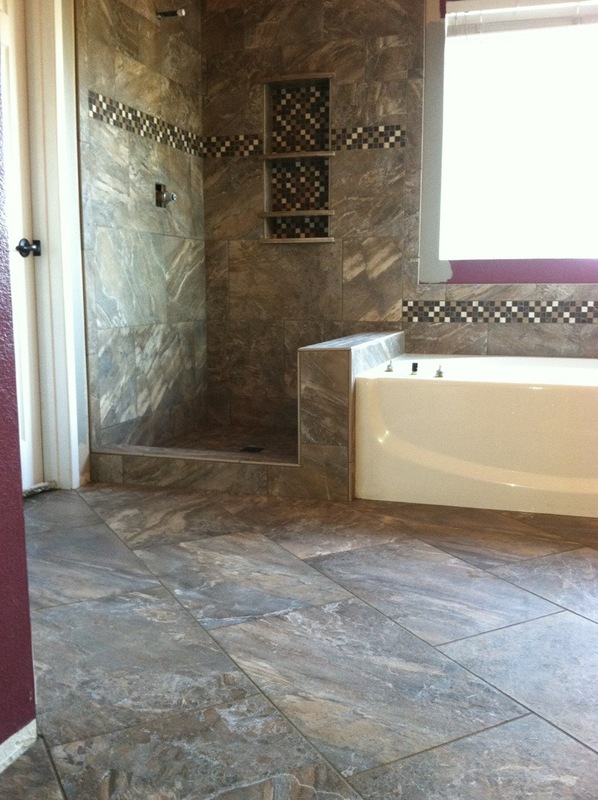 This shower was recently completed by Hamilton Tile and Stone in Temecula Ca. This tile is made by Cerdomus and available at Arizona Tile. Kerdiboard by Schluter was used to create a 100% waterproof substrate.We incorporated 16×24 tile with 8×16 tile for a nice design.The mosaic blend of glass and natural stone added a nice accent. 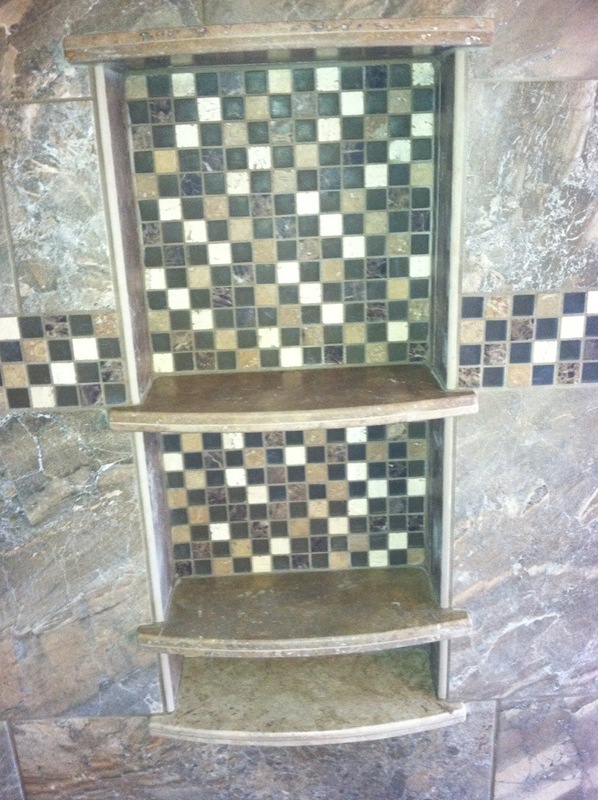 With limited space to work with, a large vertical niche was built with multiple custom hand made natural stone shelves. After new paint and a frame-less glass enclosure is installed this will be a beautiful new bathroom. This entry was posted in Uncategorized and tagged Arizona Tile, Glasstile, Hamilton Tile and Stone, Kerdiboard, Master bathroom tile, mosaic glass, Murrieta Tile Contractor, Porcelain, Schluter Kerdiboard, Showers, Subway tile, Temecula Tile Contractor, Temecula tile contratcor, Temecula Tile Installer, Tile contractor, Waterproof Shower System. Bookmark the permalink. Both comments and trackbacks are currently closed.